DAVID LE/Staff photo. 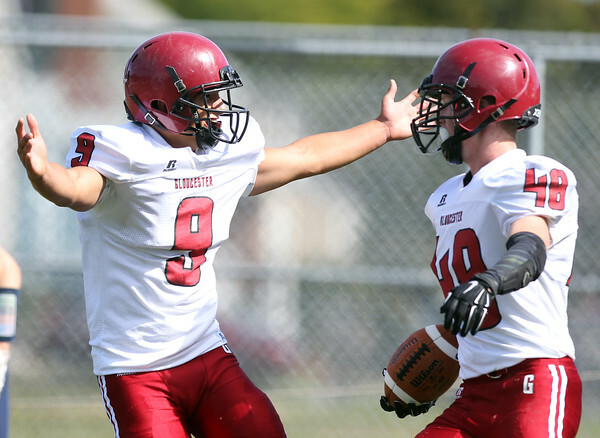 Gloucester's Christian Sanfilippo (9) greets teammate Andrew Latassa (48) after he scored one of Gloucester's first half touchdowns against Swampscott. 9/26/15.